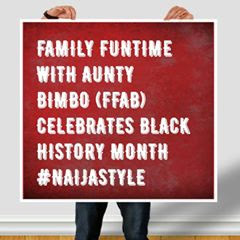 In continuation of the Naija Style Black History month of February celebration on the Family Funtime Show, I have been on the look out for unusual people who have created a mark in the nation that is still evident today. 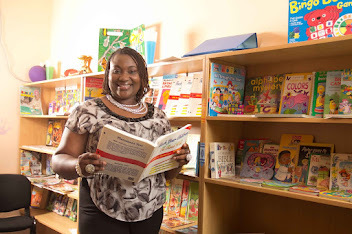 A few days ago, I stumbled on the name Mammy Ochefu on Facebook via a friend, Chinonso Ogbogu's timeline. I started a research and knew this woman must definitely make the Naija Style Black History month hall of fame. For Nigerians who serve the compulsory National Youth Corpers, NYSC scheme, the word Mammy Market is not strange. 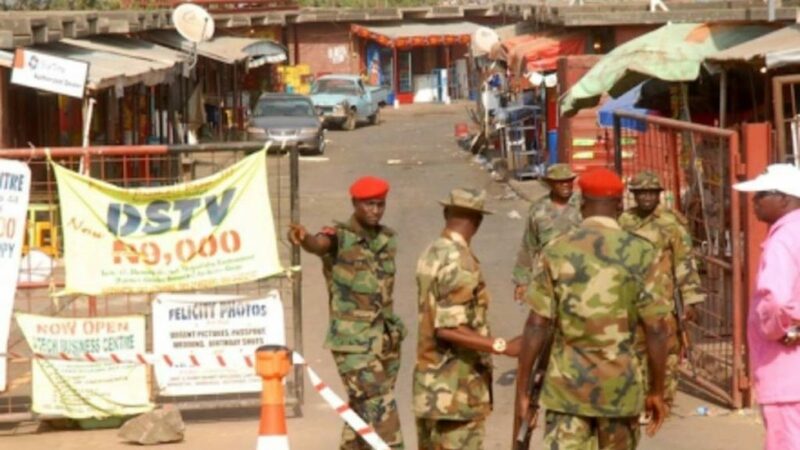 It is a mini market attached to military barracks in Nigeria where soldiers and civilians come together to buy different things. 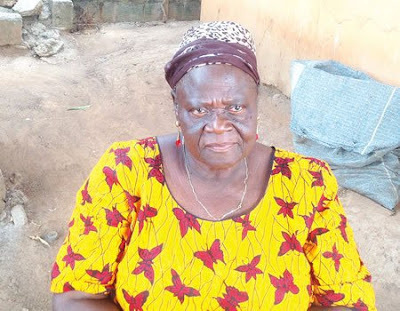 However, what is unknown to many people is the fact that the Mammy Market is the idea of a woman whose real name is Mammy Ochefu, the wife of a retired military officer, who started the initiative in 1955! Today, we have Mammy market all over the military barracks and the origin of the business has been traced to you. How did it start? The idea of a Mammy market was conceived in 1955 when I got married to my husband. At that time, my husband was a corporal serving in the Enugu Second Battalion. He had so many dependants and I thought of what to do to support him. So, the idea of making ‘enyi’, known as ‘mowe’ drink in the barracks, came to me. When I started the business, some people were complaining of flies. You know, in the barracks, they do not allow filth because they want every place to be neat. And it is not that I was dirty with the preparation of ‘enyi’, but no matter how you clean the environment, flies will still be around. So when the complaints were so much, I had to stop doing it for a week. But there was pressure from customers who had liked the ‘enyi’ and I told them the reason why I stopped it. But one WO2 (Warrant Officer 2) went and cleared a place for me to continue with the business. Later, one officer, a Lieutenant Colonel, an Igbo man, I have forgotten his name now, ordered that a local bacha, (kiosk) be built for me. Then, I resumed the business before we were posted out of Enugu. What happened to your business after you left Enugu? An Idoma woman, whose name I have forgotten now took over the business because ‘enyi’ is an Idoma drink. So, on getting to Abeokuta, I resumed the business there and was getting patronage until when my husband was posted out again. That means you resume business at each barrack your husband was posted to? Yes. You know soldiers are always moving around. Can you remember most of the barracks your husband was posted to and where you introduced the business? So you opened the business in all these barracks? Yes. Then, I would look at other things that the soldiers in each barrack liked and add them to the menu. For instance, in Kaduna, I added kunu, tuwo shinkafa and other things they liked. At the time you started this business in Enugu, how much did it cost you? ((Laughs). I did not have anything except what I needed for the drink. I doubt if it cost me more than One Shilling. How did you come about the name, Mammy? 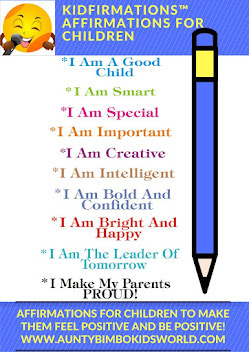 Laughter…..It is a long story but let me cut short. My father told me that at the time I was born, he (my father) was working with white men that came to our village. But on a particular day, one white man came to our village. My father went to receive him and carried his box. On getting to the village, my father was told that my mother was in labour and he took permission to go and see his wife. Luckily before his arrival my mother had given birth to me. So when my father returned to the white man, he told the white man that his wife had given birth to ‘Enem’, and the white man said ‘Mammy’. That was how I was named Mammy. How did this business spread to other barracks? I told you that each time we were posted to a new barrack, I came up with the business. But as we were being posted out, some women who saw how I was making little money from the business would take over and so many started joining the business, even before leaving. How do you feel that every barrack now has a Mammy market? It was my children that started telling me that the market is growing in military barracks with my name, Mammy. I didn’t know anything about it. Has the military given you any recognition for this innovative idea? Not at all. Maybe later. They have never made any contact with me. What were the major challenges then? Finance is the only challenge, even till today, because if you do not have enough money, it will be difficult for business to grow. Initially, I thought of taking a loan from the bank but the interest scared me and I dropped the idea. Any financial gain from the business? Of course, I used the proceeds from the business to support my husband and train all our children. After your husband retired, did you venture into any other business? Yes, because the woman had to take care of the children and prepare meal thrice a day to go and give their husbands at their post of work. But how were you able to break the barrier? Actually, it was not easy to convince my husband because he refused the idea when I initially told him. He said other soldiers’ wives were at home taking care of their children. But I told him it was meant to assist him. Grudgingly, he accepted. Soldiers are known to be disciplined even at the home front. What was your husband’s attitude towards you as his wife? It is true that my husband was a disciplined man; he behaved like the white people while I behaved like an African. For about 45-years we spent together as husband and wife, he never raised his hand at me, even when I looked for his trouble. Colonel Ochefu rose to become a military governor. Did you abandon the business? No; not immediately. I think we were in Lagos when he was made the military governor of the East Central State, in Enugu. I was going about my business; it took us a few months before I joined him and that was after pressure from people. I eventually left the business in the hands of four people because by then I had big shops and a poultry farm.